With Selection Sunday behind us and brackets finalized as of noon today, NCAA College basketball and March Madness is nearly here! 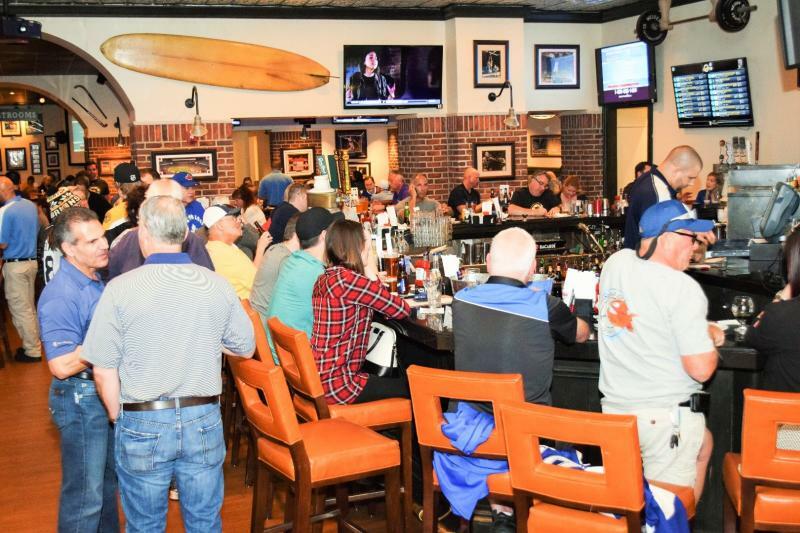 Sunday's seeding, followed by the First Four means one thing, Sports Bars in Tampa will be packed for March Madness and you need to know where the BEST Sports Bars in Tampa are to catch the thrills, excitement and celebration that is March Madness! March Madness is meant to be experienced in a sports bar; with people you know and people you don’t! Where were you when Lorenzo Charles buzzer-beating dunk created the ‘Cardiac Pack’ as Jim Valvano’s 1983 NC State Wolfpack launched one of the greatest upsets in college basketball history? How about VCU’s 2011 run when they beat Kansas becoming the first team to go from the "First Four" to the Final Four? March Madness is a shared experience, you need to be in a sports bar in Tampa chowing down on wings and burgers, enjoying your favorite brew, not watching from your living room. We picked places with amazing TV’s, great food, impeccable service, friendly staff and a nice selection of spirits to aid the madness. 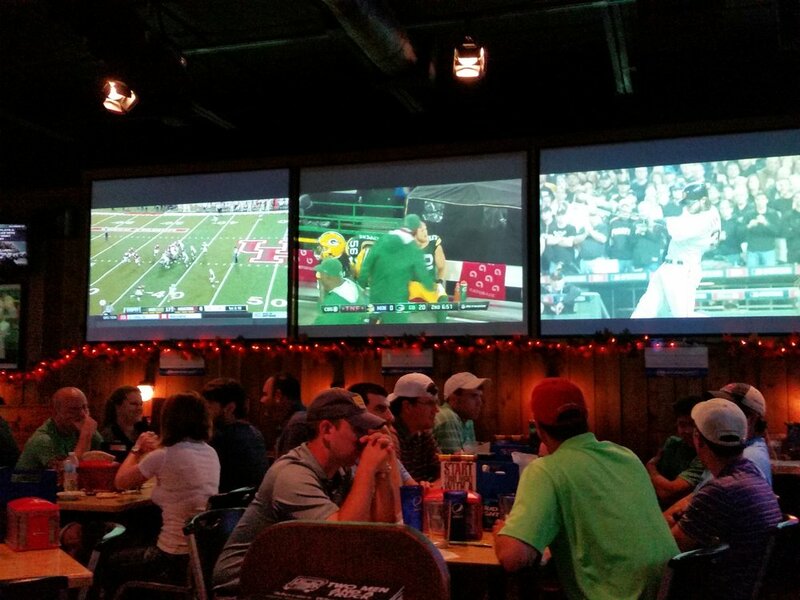 We recommend stopping in at several if not all of these; our favorite Sports Bars in Tampa to catch March Madness! Inside Tampa's premier hotel Tampa Marriott Waterside Hotel & Marina in downtown Tampa, this HUGE, clean and comfortable Sorts Bar is a short walk from Amalie Arena, the Tampa Bay History Center, Cotanchobee Fort Brooke Park and the Channelside District. Located on The Riverwalk you can enjoy watching the game from plenty of big TV's including the biggest one we have ever seen measuring 13 x 18 feet! Dine on exceptional pub food and enjoy a cold craft or domestic brew from the full bar where they pour a nice drink! Ferg's Live in Downtown Tampa's is a great place to watch the games on TV, enjoy live concerts, and enjoy great food and drinks. With over 5,000 square feet of space to party inside and out Ferg's is located in Downtown Tampa, across the street from Amalie Arena. 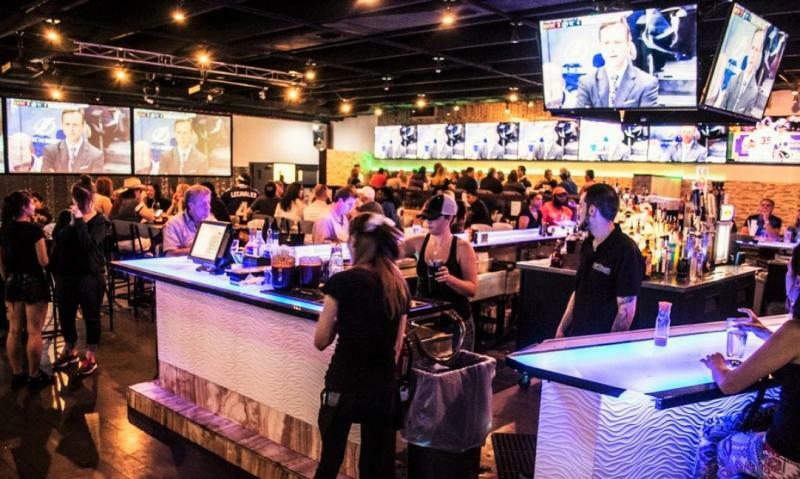 Opened in the fall of 2013, Ducky's Sports Lounge is a spacious sports bar partially-owned by Tampa Bay Rays third baseman Evan Longoria. Ducky's features plenty of TV's to watch the NCAA March Madness action, (I mean, would Evan have it any other way?) craft cocktails, upmarket bar food, a nice selection of craft and domestic beers, mini-bowling alleys and an outdoor patio. 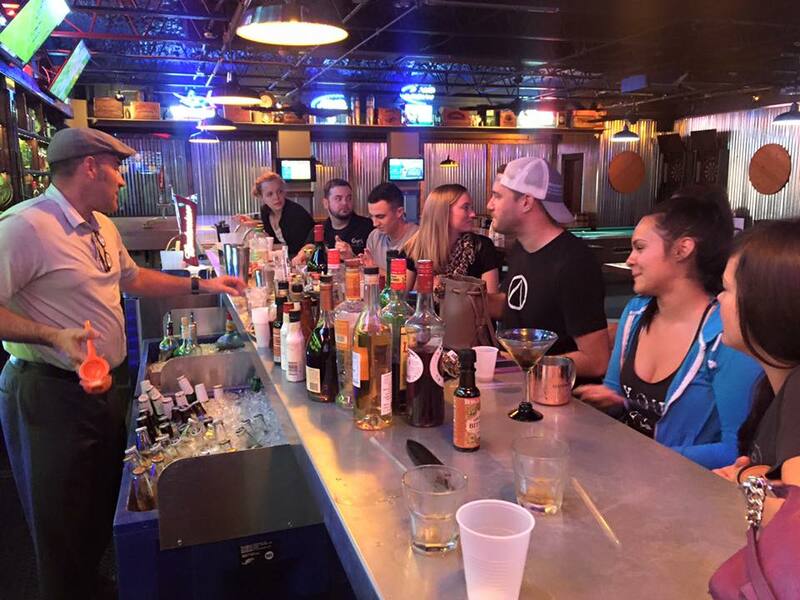 One of Tampa's best Sports Bars, this is a must try bar! The Brass Tap is an upscale beer bar with 60-80 craft beers on tap every day, more than 300 bottled domestics and imports, local craft beers, great food, plenty of TV's and a fun atmosphere in the heart of historic Ybor City. 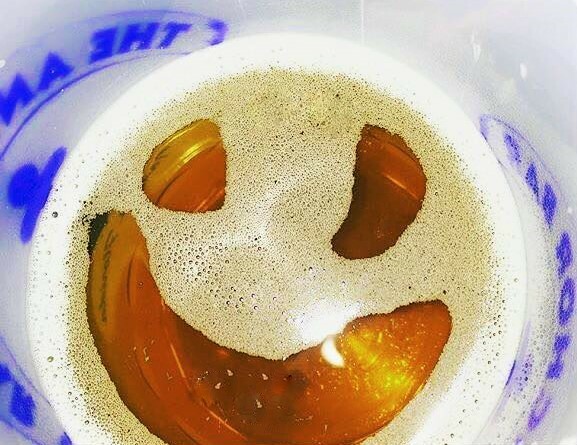 If you like spending time with friends in a place that feels like home as you catch the madness, Brass Tap Ybor is the place to be! Peabody's Entertainment Complex includes Peabody's Billiards and Games, The Palms Club and The Falls Liquor Store. In Tampa Palms, Peabody's is fun. 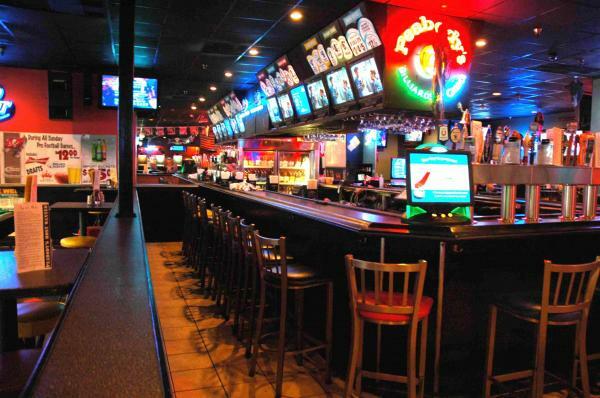 With 70 TV's, including a 10' screen, 11 professional pool tables, 14 dart boards, 4 bars and plenty of space, food, drinks and basketball and no cover, Peabody's is your North Tampa NCAA March Madness HQ! Established in 1960 by Fano and Gaspar Ciaccio, Gaspar's Patio in Temple Terrace has it all! 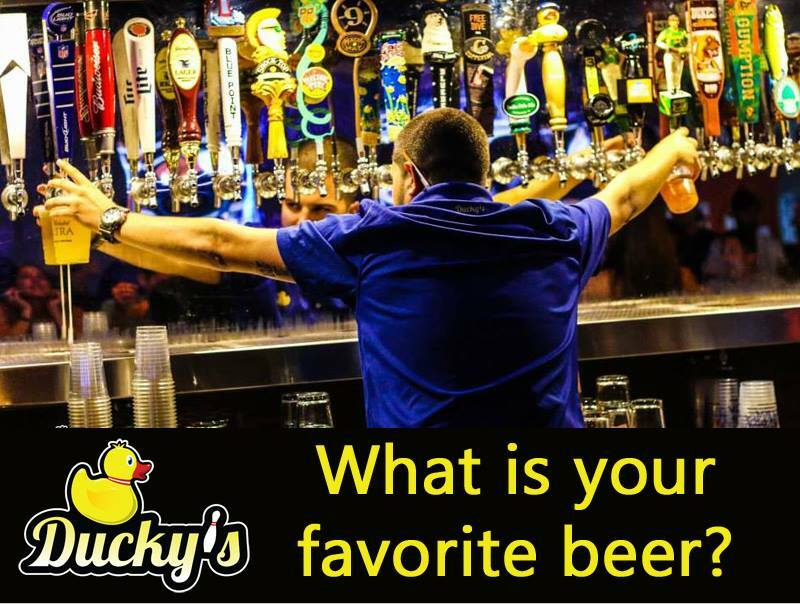 Plenty of TV's, a great staff, good food, live music, an outdoor patio where you can bring your four-legged friends (See Dog-Friendly Bars in Tampa | Drinking With Man's Best Friend ) Pocket Billiards, table top shuffleboard and more in 3 bars. 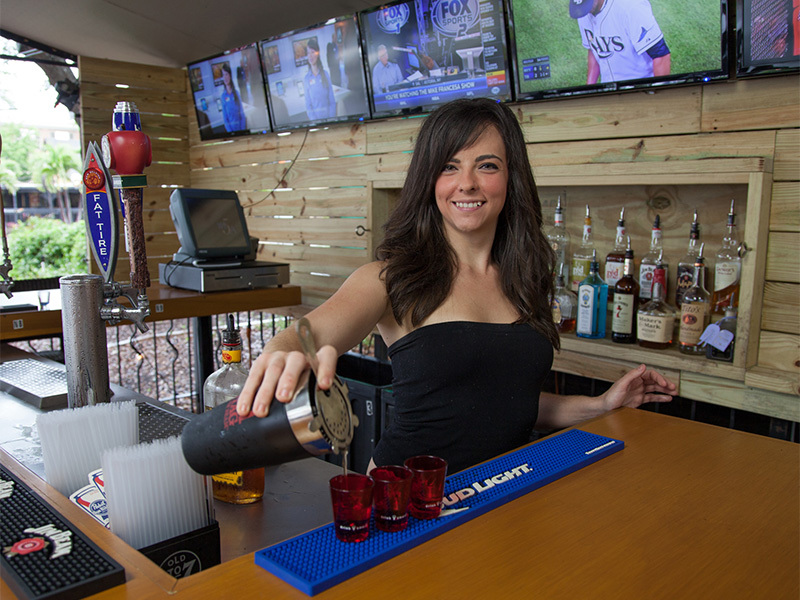 Gaspar's is a great bar to watch March Madness in Tampa, hang out with fun people and cheer on your teams! 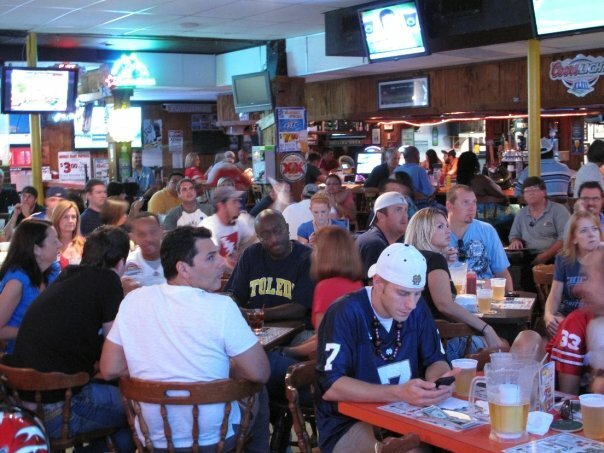 Known to many locals as the original South Tampa sports bar, the Press Box broadcasts your favorite sporting events, darts, pool, video games and more. Known for their wings and burgers, be sure to ask for Walter and tell him 813area.com favorited his bar! Come get your country on at South Howard Avenue’s one and only Southern Sports Bar, where you’ll find good friends, great service, and legendary wings. The atmosphere is cool and breezy, perfect to watch March Madness in Tampa, better known as 'paradise'. Where Carrollwood goes for Sports! Prime Time is a premier sports bar with 65+ HD TV's and individual speakers tableside. No matter where you sit for March Madness you have a great view! This former Buccaneer knows what we need in a true Sports Bar, great food, cold beer, delicious drinks and loads of TV's to catch the show! Selmon's is an all American Grill featuring homestyle southern cooking with good old fashioned hospitality. 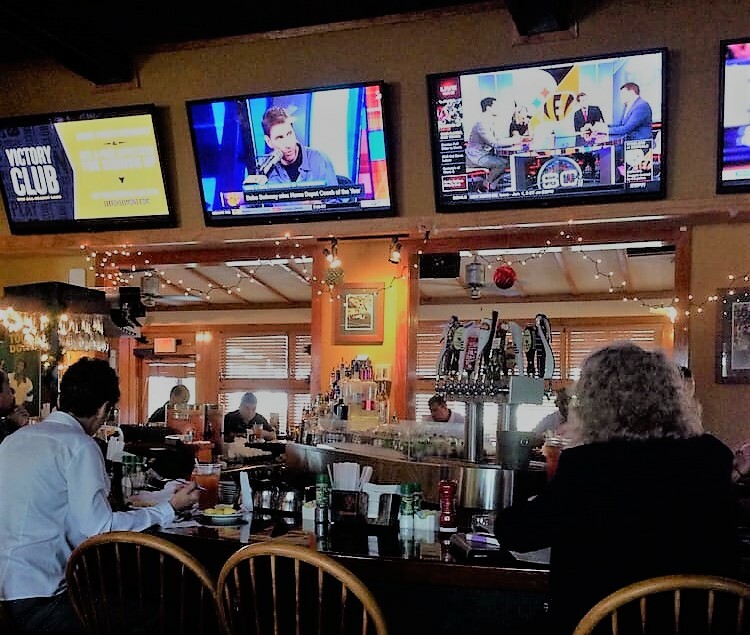 This casual, comfortable sports bar with great food is a great place to unwind for a little needed March Madness in Tampa! Beef 'O' Brady's was founded in 1985 by Jim Mellody and remains a local favorite Sports Bar in Tampa. A Family Sports Pub, this Beef's is light and airy, newly renovated inside and out. 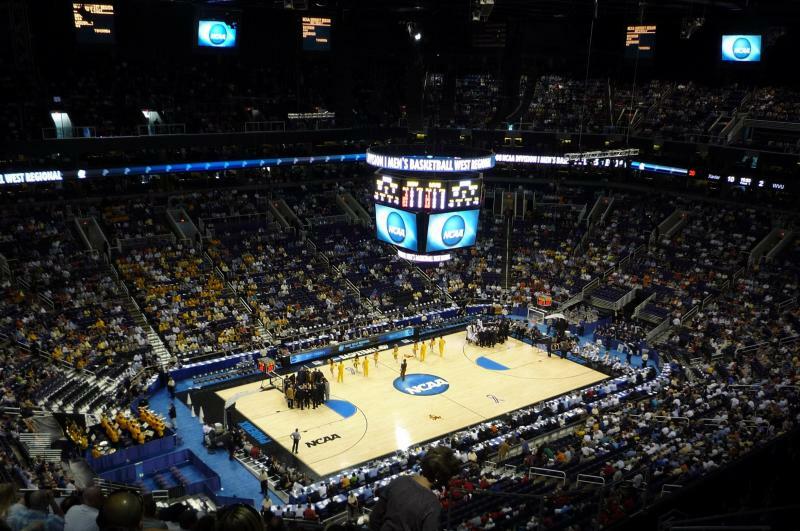 Take the kids to catch a game, they will be entertained as you watch the madness! Ready to DIVE IN to a small neighborhood bar full of great people with a great vibe, try The Anchor Bar on Davis Island. A well-kept secret, this sweet dive bar has some of the BEST wings you will ever taste, great specials every night and will have March Madness games on their Big screens! The kitchen is open till 2 am! Lucky us! As First and Second rounds begin, we head into St. Patrick's Day be sure to check St. Patrick's Tampa Bay 2017 | Official Events, Fun Pubs and More. Will we have a Cinderella Story this year? WHO do you think it might be? 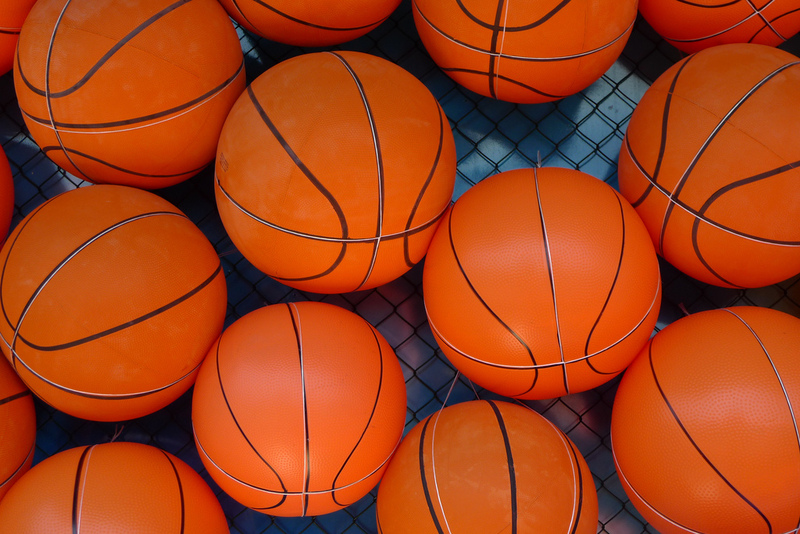 Comment below, and be sure to let us know your favorite Sports Bar in Tampa for March Madness.